Family History Research Booklet. 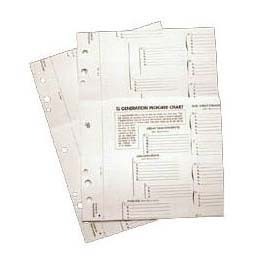 This booklet is A4 in size and contains 16 double side printed Family Group sheets. 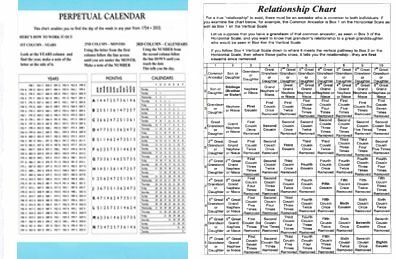 Each person has their own sheet which allows detailed entries not only for themselves but also their partner, full details of Birth, Baptism/Christening, Marriage, Death, Burial, dates & locations details can be recorded and also entries for the following details as well. Parents, what certificates you have, Schooling details, Occupation, what census you have found them on and where, each family group sheet also has LOTS of room for recording siblings and other details. In the middle of the booklet there are 2 separate, pull out, A3, 6 generation outline ancestor trees. Each person entered on the tree has a reference number which ties up to their own numbered family group sheet. Carry all of your family history about with you, all the information you need in one handy book. Ideal for taking with you on those research trips or to use as handy reference guide.